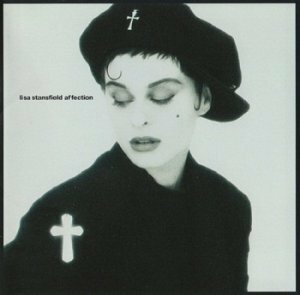 Affection is the debut solo album by British singer Lisa Stansfield, released by Arista Records on 20 November 1989. Stansfield co-wrote all songs with Ian Devaney and Andy Morris. Devaney and Morris also produced the album, except for "This Is the Right Time" which was produced by Coldcut. Affection received critical acclaim from music critics and was commercially successful. It reached top ten on the charts in many countries and has sold over five million copies worldwide. The album spawned a hit song, "All Around the World", and four other successful singles: "This Is the Right Time," "Live Together," "What Did I Do to You?" and "You Can't Deny It."